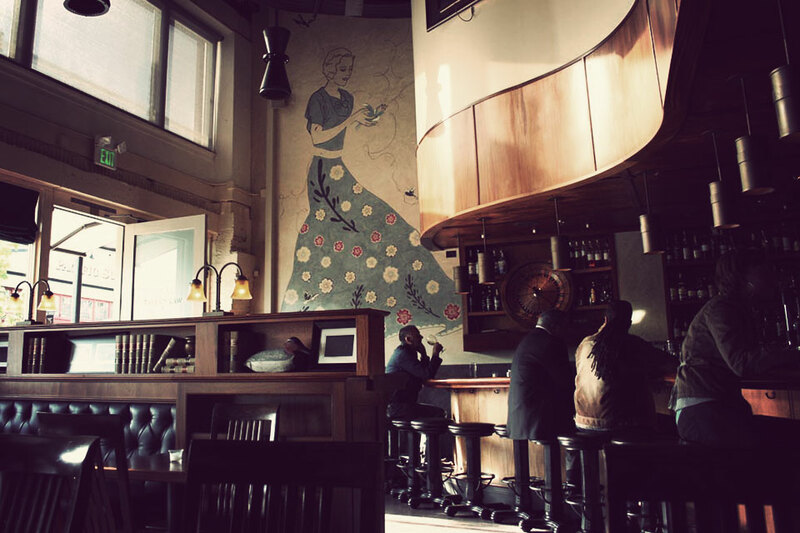 The Tavern Law mural was originally created for the Gun Club a bar designed by Micheal Klebeck that never opened. The history of the building was a sewing factory. We used thread ,scissors, flowers, birds and a giant girl with a gun tattoo to represent the past.